We've just completed a marathon and we're already thinking about our next race. Apparently running the big 26.2 in London doesn’t scare us enough to retire from running! 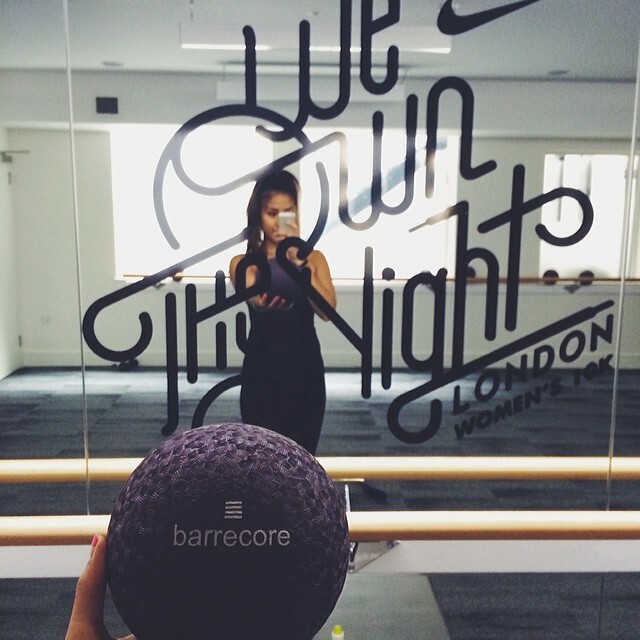 Exactly one month after London, we’re taking part in Nike’s 10k women’s run, We Own The Night – a light, laid back, after dark race in Victoria Park. A nice distance to run following a well deserved break after the big boy miles we say! AND, guess what? We want you to join us! We have two race places to give away for you and a friend! We Own The Night was one of the first few races we took part in when we started Food & Lycra, a race which provided us with many great memories (LOLZ) throughout our training journey with Nike last year. Now, we want you and a friend to run a race together and share unforgettable memories, hopefully spurring you on to run more races in the future. As if a great achievement like running a race with your friend isn’t enough motivation to enter our competition, this year Nike have made this 10k more epic than ever. 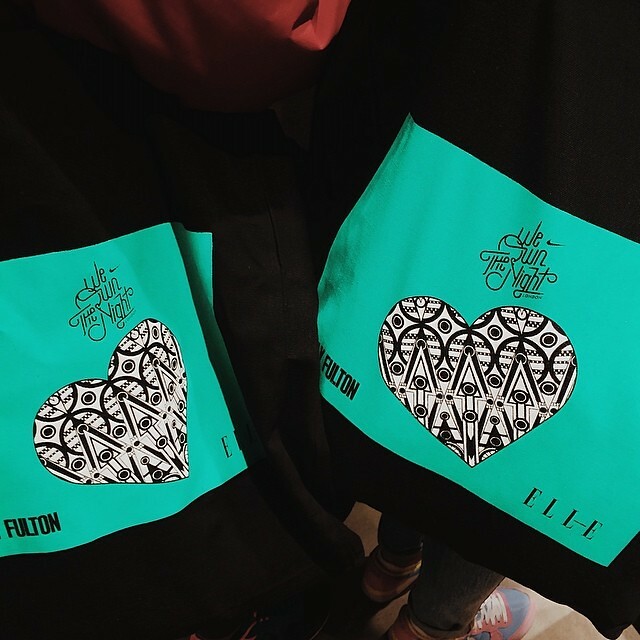 Before race day, you will receive a race tote designed by Holly Fulton. Who wouldn’t love a graphic print heart on a bold turquoise background <3? We’re definitely going to be using that all the way until next year’s race! 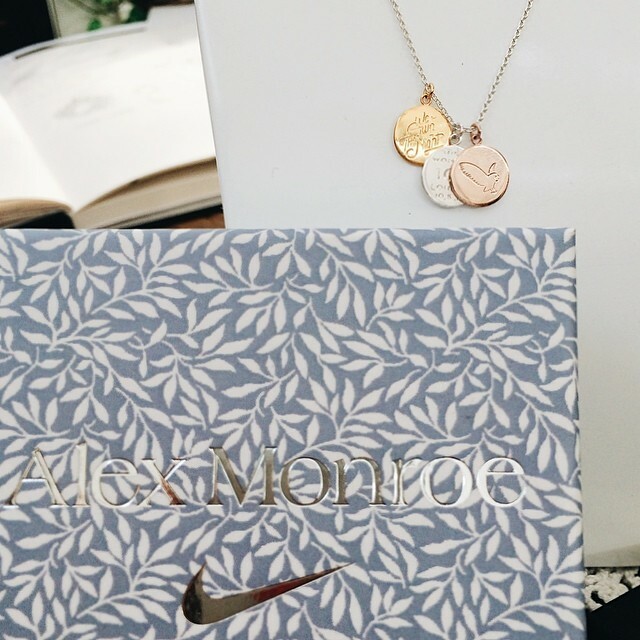 Everyone who completes the race will also receive a beautiful finisher’s necklace by British designer Alex Monroe! All you have to do is grab your mate, go out for a run and share it with us on Instagram or Twitter by hash tagging #foodandlycra and #weownthenight! SIMPLE AS THAT YO! If you don’t have these social channels, just email us a photo with the subject line: FOOD & LYCRA X WE OWN THE NIGHT to foodandlycra@gmail.com. Don’t be shy guys! Sweaty, stupid or funny, we want to see it all. We’ve all been there, no shame in a bit of sweat! We’ll announce the winner via the channel you contacted us on. Not long left until the race day so get hashtagging. Good luck guys! Please note: we will not be providing transport and you have to collect your race pack in NikeTown London.